The universe, being vast, must comprise all possible desires. 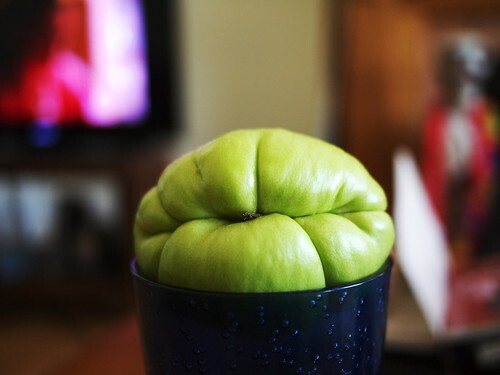 Therefore there must be someone who looks on this chayote squash with fondness, someone who wants to take it home and maybe share a bottle of Riesling with it. But I am not that someone.